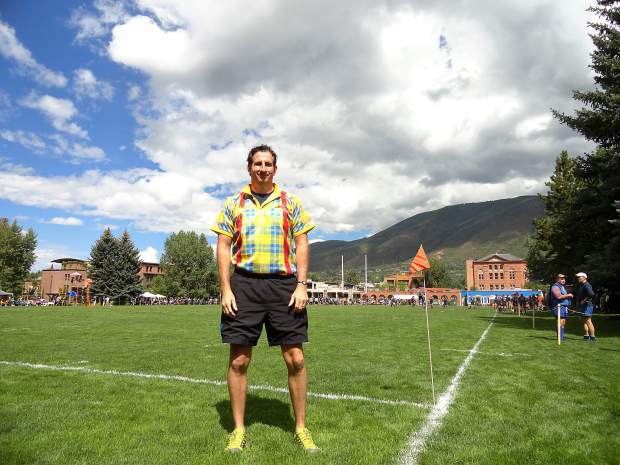 Marc Nelson, of Denver, is the head referee for the 47th annual Aspen Ruggerfest. He said reffing the sport offers young people the chance to travel. Unlike in American football — a series of start-and-stop plays — the aim in rugby is fluidity. In football, an illegal block far away from the play, which has no effect on the outcome, can result in a penalty. But in rugby, arbitrary infractions are noted but not called. 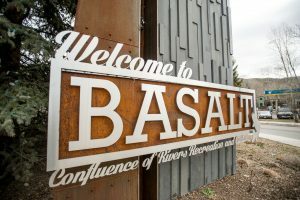 The fewer pauses for penalty, the more continuity of play and the more showcase for fans, said Marc Nelson, head referee for the 47th annual Aspen Ruggerfest. In rugby, one referee oversees 30 men, 15 on each team. Sometimes assistant referees assist in bigger games, but for the most part, it’s up to one man to judge the outcome. A member of the Eastern Rockies Rugby Football Union Referees’ Society, Nelson has been officiating for 12 years. He is a former Division II college player. After several concussions, he quit playing but picked up a whistle to stay close to the game. He said that for someone who is young and dedicated, there is an immense opportunity in officiating the sport. “You can travel the globe,” he said. This year, Ruggerfest features two referees from England, one from Vancouver, British Columbia, and one from Charlotte, N.C. Every tournament is different, but for one like Ruggerfest, referees receive free lodging, food and drink. For a one-day game, refs typically receive a stipend and cash for mileage. “We’re always hoping for opportunities for exchanges — to send our referees out and bring others in,” said Nelson, who also serves as a referee for USA Rugby. 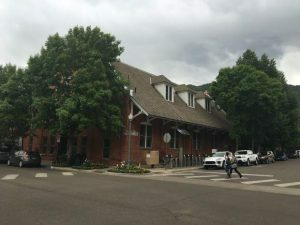 He said if you’re good enough to be a referee, or you contribute to the society, you’re invited out for a free weekend in places such as Aspen. The offseason is in December and January. 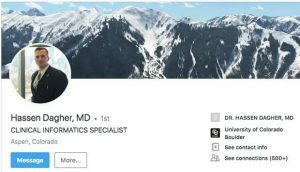 “That’s when you get on the treadmill and start running,” said Nelson, who is from Denver. The rule book in rugby is known as the law book. A rule, Nelson said, tells a player what he cannot do, while a law tells him what he can do. Philosophically, the laws are geared toward two major aspects of the game: a fair contest for the ball and continuity of play. “It’s his job to create a safe, fun environment for the players and showcase their talents within the laws of the game,” Nelson said. Play resumes today with Over 35 and Over 50 divisions playing in Wagner and Rio Grande parks. The featured Open Division begins play at 9 a.m. Saturday at both venues. The final day of competition will be Sunday, with championship matches for all divisions.